Elegant Suite separated by sliding doors to create two different environments. The bedroom has large closets and a spacious bathroom with tub and a separate shower. The modern decoration that perfectly blends with the elegant atmosphere of an historic building makes of this, the best five-star hotel in Alicante. 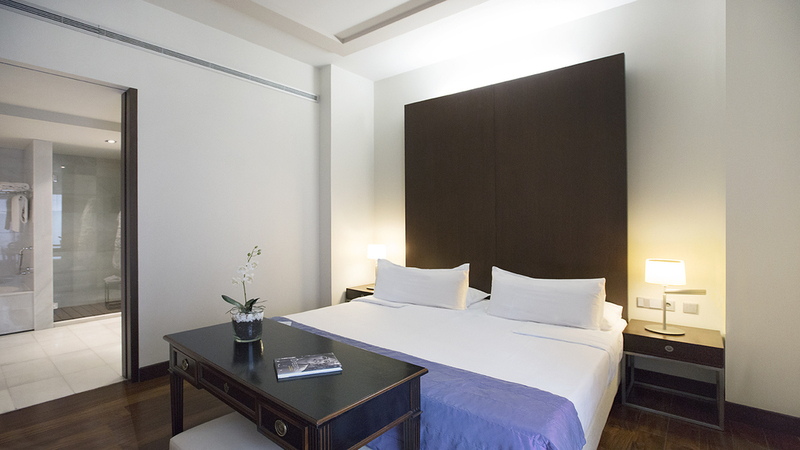 | 38 sqm | Living Room | King size bed (2x2 m) or two twin with exclusive mattresses and Egyptian cotton bed linen| Possible triple room | Plasma screen TV-DVD player.